As a mineral owner, figuring how to sell mineral rights for maximum value can be difficult. Our goal at US Mineral Exchange is to inform mineral owners. Here are 10 tips you should keep in mind when trying to selling mineral rights for maximum value. 1. Documentation: If you want to sell mineral rights for maximum value documentation is key. You need to be able to show mineral rights buyers proof of ownership. Having your deed, lease agreement, division order, royalty check stubs, and other documentation together is extremely important. Providing this information up front is what allows US Mineral Exchange to get you the highest value for your property. 2. Avoid Common Mistakes: Many mineral owners fall into the same traps. We can help you avoid these common mineral owner mistakes when you sell mineral rights at US Mineral Exchange. Our expert team will be with you each step of the way to help you avoid making the wrong decision. 3. Understand Value: Before you sell mineral rights make sure you know the basics about mineral rights value. We have a number of articles that cover mineral rights value. In addition, you can reach out and ask for a free consultation if you need more information about the value of your property. 4. Market Value: When mineral owners list their property for sale, they usually have a number in mind they wish to sell mineral rights for. It’s important as a mineral owner that you are able to adjust your expectations to the reality of the market. Mineral rights value is determined by what a buyer is willing and able to pay today for your property. We cover the market value of mineral rights so that you can get familiar with how value is determined. 5. Sell Half? : If you’re in a position where you need to sell, keep in mind that selling half is an option. You don’t have to sell 100% of your mineral rights. You can decide to sell any portion of your mineral rights you choose. If selling half of your mineral rights would help you meet a financial need there’s nothing wrong with doing that. 6. Don’t take the First Offer: This should be probably be number one on our list! When you get an offer to sell mineral rights, don’t accept the first one. It’s highly unlikely that the first offer is the best offer. When you list mineral rights for sale at US Mineral Exchange you can evaluate multiple offers from buyers all over the country. The key to getting maximum value when you sell mineral rights is to get your property in front of a large number of buyers. 7. 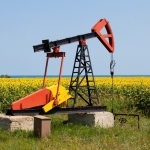 Unsolicited Offer to Sell Mineral Rights: If you got an offer to sell mineral rights in the mail, this offer is extremely likely to be far below market value. These offers make it easy for you to quickly accept by signing the enclosed form. Mineral owners sell below market value all the time because the process is so easy! Don’t fall into this trap! 8. Seek Professional Advice: Many mineral owners make the mistake of trying to sell mineral rights on their own. There are literally thousands of companies who purchase mineral rights. Many have a small online presence or none at all. To get maximum value you need to work with professionals who can get your property in front of the entire market. When you list your property at US Mineral Exchange you’ll gain exposure to a huge network of qualified mineral buyers. 9. Option Agreements: If you are presented with an option agreement, this is a huge red flag. Legitimate buyers rarely use option agreements to purchase mineral rights. Anyone who tries to convince you to sign an option agreement is likely trying to flip the property to a real buyer for significant financial gain. 10. Ask for Help: If you have questions about your mineral rights, seek expert advice. At US Mineral Exchange we hear from mineral owners every day. Simply fill out our free consultation form and one of our friendly staff will be in touch within hours to help answer your questions. We provide these 10 tips every mineral owner should know to help you better understand your mineral rights. At US Mineral Exchange we are solely focused on helping mineral owners get the maximum value for their property. Learn more about US Mineral Exchange and see why we’re the #1 trusted company to sell mineral rights. If you have questions about your mineral rights, we’re here to help! We speak with mineral owners every day and we look forward to hearing from you. Please don’t hesitate to fill out the form below with any questions and our friendly team will respond quickly. Tell us a little about your property and what you hope to accomplish? Please include state and county of property. The more information you can provide about your property the better! We can give you a better idea about the value of selling mineral rights if you provide more information. The most important thing we need to know is the state, county, and net mineral acres owned. Any additional documentation you can provide is extremely helpful! What if I don't want to sell? If you are just looking for information and do not want to sell mineral rights, fill out the form anyway! We’re here to help answer your questions. If you just want to better understand your mineral rights, we’re happy to help. We get inquiries every day from mineral owners with questions about the value of their mineral rights. We just hope you’ll remember us when you do decide to sell mineral rights! 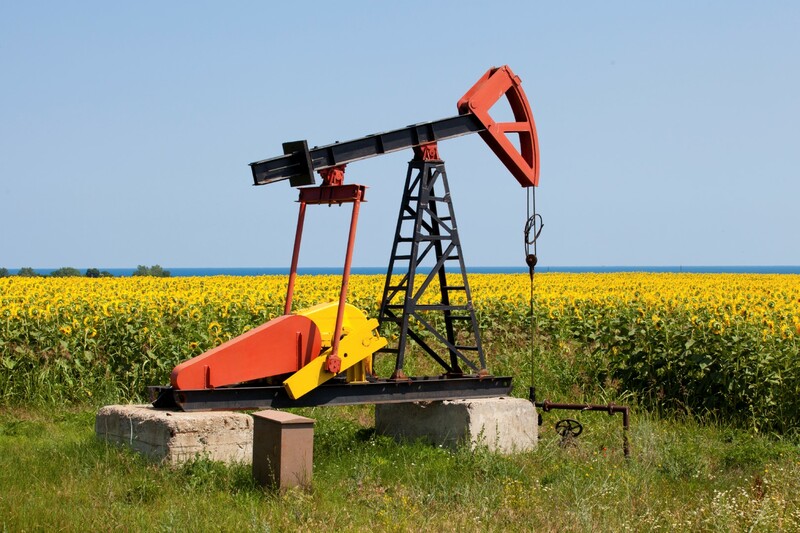 Am I obligated to sell mineral rights? Absolutely not! When you submit an inquiry form with information about your mineral rights, you are not obligated to anything. If you do end up deciding to sell mineral rights, you will never be obligated to accept any offers you receive! When you list mineral rights at US Mineral Exchange, you have the ability to see what the market is willing to pay for your property and then decide if you would like to sell with zero obligation. How long will a response take? We typically respond to inquiries in less than 12 hours and usually within hours of submitting the contact form. At US Mineral Exchange our goal is to be available to mineral owners as a resource so we pride ourselves on quickly replying and communicating with mineral owners. At US Mineral Exchange, we take privacy very seriously. We will NEVER sell your information or use it without your consent. When you send us documentation or tell us about your property, that information does not go outside our company without your consent. Even when you list a property for sale on our website, we strictly control who has access to the information about your listing so that only legitimate buyers will be able to see property details. How do I know I'm getting a good offer? Our goal at US Mineral Exchange is simple. We help mineral owners connect with a large network of mineral rights buyers who compete to pay you the highest possible price. What does this mean for you? When you list at US Mineral Exchange, you have the best chance of getting the highest possible offer. Many mineral owners make the mistake of finding a couple buyers and requesting a quote. They then accept an offer far below market value because the buyers they found weren’t the ones willing to pay the highest price. When you list at US Mineral Exchange, it allows all the buyers to come to you which means more cash in your pocket. We frequently speak with mineral owners who have an offer in hand but want to know if it’s fair. After listing at US Mineral Exchange, they get a higher offer than the one they had almost every time. Why Sell Mineral Rights at US Mineral Exchange? The reason that so many mineral owners decide to sell mineral rights at US Mineral Exchange is access to our large network of mineral rights buyers. Our goal is to help you get top dollar for selling mineral rights by getting your property in front of a huge audience of buyers. This allows buyers to compete against one another which ensures you get fair market value for selling mineral rights. There are absolutely no costs to list your property. We operate using a success-based fee. Meaning that if we cannot get your property sold, you owe us absolutely nothing. All offers we present to you are net of our commission. If you accept an offer presented, the buyer or the buyers closing agent pays us our commission directly at closing. You never have any out of pocket expenses – EVER. Free Guide Learn more about your mineral rights with this free guide from US Mineral Exchange. They made selling a portion of my mineral interests easy, and got me more money than I was offered on my own. Very responsive to my questions. Had a wonderful selling experience! Eric Winegar was Professional, knowledgeable and courteous. Kept me updated throughout the process. Would recommend mineral interest owners/buyers to choose U S Mineral Exchange. Five Stars!!! I loved the constant contact throughout. They explain the whole process of selling minerals and help you with every step along the way. Very knowledgeable of their job. Worked with us to get a fair price for our minerals. Would not go any where else. I was referred to them by my father. They were very helpful, as I don't know a lot about mineral rights and that sort of thing, but they were patient, answered all of my questions, and helped me get a great value. I was impressed by how well everything went. They broke everything down for me and I am very happy I chose to use them to sell my mineral rights. USME was just wonderful to work with. They were honest, forthright, and the consummate professionals. They helped me to get a great price and kept me updated through the whole process of selling my oil interests. They were very patient with me and my many phone calls and other communications. Good and pleasant folks at USME, and I had the feeling all along the way that they really cared and worked hard for me. To say I am happy with them is an understatement. USME orchestrated the sale of our family mineral rights. We already had a pretty high offer, but they were able to find us a buyer willing to pay even more, after a short auction (less than a week). That buyer also uses their business to help military veterans. So, it was a good deal for both sides. Garrett and everyone at US Minerals is the only place to go. They explain the whole process of selling minerals and help you with every step along the way. Very kind, caring and knowledgeable of their job. Got us a very good price for our minerals. Would not go any where else. If you are thinking about selling give them a call!!!! I had mineral rights in Oklahoma but live in Texas and had no idea how to go about selling them. I came across US Mineral Exchange and haven't looked back. The two gentleman I worked with Eric and Garrett were great! They were professional, personable and guided me through the entire process and got me a really good prices. Can't thank the enough!! Terra & Garrett were great. I mostly worked with Terra via e-mail. I did talk to both of them once on the phone but our transaction was a little trail tracking with the property going back to 1925 it was a lot of connecting the dots. We worked together to get the deal done & fairly quickly even with a few extra steps. Thank you again Terra & Garrett. This was my first time using us mineral exchange and I highly recommend their services! They are attentive, always return phone calls & emails and are most definitely professionals in their field! Plus you get a fair market price for your acres. Garrett and Eric were great to work with and found a buyer above my asking price. They made the sales transaction very smooth and easy. Their instructions for the closing process were very detailed and easy to follow. I would certainly recomend their services,to anyone. This process was so easy. The gentlemen at US Mineral Exchange were very helpful. If something came up, they were knowledgeable and quick to respond. From beginning to end all my questions were answered and my mind set at ease. I couldn't be happier with the entire experience. Thank you US Mineral Exchange! Years ago I inherited Mineral Rights---but that's all I knew! Had NO idea what they really were or how to determine their value! I'd received lots of unsolicited offers with a variety of purchase amounts over the years. When I finally decided to sell my Rights, I had NO CLUE how best to help myself in this process! Research kept pointing me to US Mineral Exchange---and it was the smartest call I could have made!! Garrett, my agent, was professional, patient, informative, prompt, insisted I feel No Pressure and that I understood all Final Decisions with regard to their sale were mine alone. He "walked next to me" from Start to Sale! If you, too, don't know what your Oil, Gas or Mineral rights can mean for you in that market place, contact USME and get educated! Guaranteed---you won't regret it!! I had an all-around EXCELLENT experience! Thanks, Garrett. Had a great experience with US Mineral. Listed the mineral rights and received an offer within a week. Offer was higher than previous offers from other companies. Closing transaction went smoothly and was fast. Rep was very knowledgeable and responded to my questions promptly. We had inherited property when my Mom passed and honestly we didn't know what to do with it. We were getting paid $17.00 in royalties a year and paying $398. in taxes. So my brothers and I decided to sell. So I did a lot of Googling and found US Mineral Exchange, I liked that they were local, same state as me. I filled out their questionnaire and sent it off and in less than 45 minutes I got a phone call from a person not some computer and such. Now I have to say that the people at US Mineral Exchange were so helpful and patient with explaining what paperwork I needed to find and how to get titles straightened out, and when there was a blip they were very nice on helping me learn what was needed to be done to smooth things out. So in my opinion if you have some mineral rights and would like to sell them contact Jeff at the US Mineral Exchange . Like I said very knowledgeable, helpful, quick in returning emails or phone calls and worked hard to get us the best price. All around a very good experience I would highly recommend them. Eric and Garrett were very professional and answered all my questions along the way, even on a holiday weekend, which made it very smooth and stress free for us.They not only got us more than we expected for our mineral rights, but they also understood that we were hoping to get the transaction completed in a short amount of time. They not only did this, but got it done even sooner than we had hoped, and the funds into our account in a very quick manner. We are nearing retirement and I have had health issues recently, so decided to move forward on buying the travel trailer we dreamed of having when we retired. Selling our mineral rights made that dream come true for us, and Eric and Garrett helped us achieve that goal without worry. The trailer we had our eye on, the Airstream Nest, just came out last month and we had a vacation planned at the end of this month. By getting the funds from our sale in a timely manner, we were able to get the one the dealer had coming off the assembly line in time to take on vacation with us! Otherwise it would have been at least a 6 week wait. Our dream of owning an Airstream is coming true! We are so grateful to Eric and Garrett for their superb service! I highly recommend using US Mineral Exchange! It was a pleasant experience doing business with US Exchange. Both Eric Winegar and later, Garrett Phelan were patient with me and my questions. They are truly professional, and knowledgeable. I am from California and I had some mineral acreage in Texas I wanted to sell. But I had zero experience in this sort of thing, i.e how to advertise, how to approach my target audience; I didn't even know what the true value of my property was. Through the years of my owning the property, I had offers to buy it, ranging from $300 to $1400 per acre. I found US Mineral Exchange from my google search. I was impressed with the positive reviews, and was greatly reassured after talking with Eric. It took less than 4 months for my property to get sold. The Company did all the leg work for me, including screening for the best offers. Because the commission the Company gets comes from the buyer, not the seller, people like me are assured that whatever final figures that are arrived at, are the best. My sister and I recently inherited mineral rights. Frankly, we had no idea what they were or where to go for help if we wanted to sell them. I was very worried our ignorance on the subject would put us at a real disadvantage. I found information about the US Mineral Exchange on a royalty owners website. Jeff educated, counseled and guided us through every step. He was always responsive within 24 hours, taking the time to explain current market trends that might affect our decisions. I asked a million questions and got detailed responses - sometimes more than once...or twice...or as many times as I needed in order to understand. Jeff was patient and thorough. At every turn I felt confident we knew our options. We could not have asked for better representation and guidance. I always felt we were as much a priority as their biggest client. In the end, we sold 35 of our 100+ mineral acres, and I am convinced that there was no other place we could have received the kind of comprehensive, expert service we did at the Mineral Exchange. It is with absolutely no reservation that I recommend them to everyone - knowledgeable or not - who is looking for help selling minerals. And, the best part is...we did not pay anything out of pocket for their expert attention. We kept 100% of the selling price! I am convinced my sister and I received the best possible representation, plus…we had the bonus of working with the most knowledgeable and pleasant people on the planet - my "friends" at the US Mineral Exchange. Eric and Garrett were both a pleasure to work with and very responsive. They were not pushy and in my experience were truly working in everyone's best interest. They made the process of selling my parents oil and gas interest an easy and painless process. I would highly recommend working with them. My aunt and myself owned mineral shares on adjacent parcels of land in Eddy county, New Mexico. We both received offers in the mail to purchase those rights. After contacting one of those companies, my aunt and I both experienced high pressure sales pitches. My aunt ended up selling her mineral rights to one of these companies. I did some research on the internet, and contacted the US Mineral Exchange. I received more than 6 times the amount per acre my aunt received. She was bullied and harassed and intimidated into selling her rights. My experience with the mineral exchange could not have been more different. After listing, offers came in quickly, and were relayed to me without any high pressure sales or suggestion that I must act quickly or lose the opportunity. Contact with Eric from the US Mineral Exchange was always pleasant, he was polite and supportive, and provided information which helped me make my decision to sell without feeling pressured. I could not be more pleased, and only wish my aunt had known about it in time to benefit. I highly, highly recommend the service. Once the sale was complete and documents filed, payment was promptly and securely relayed to my bank. There was no cost to me, no high pressure sales, and I received so much more money for my mineral rights. Thank you, thank you, thank you. sincerely, Deanna Brown of Utah. Our experience with US Mineral Exchange was very positive. Eric W. worked with us from start to finish and was always available to us to explain the process and answer questions.The process for selling my mineral rights took a little longer than some, but Eric was always available to explain the glitches to me. Eric always conducted the business affairs with the greatest professionalism and integrity. I would highly recommend US Mineral Exchange to anyone wanting to sell their minerals. © 2015. US Mineral Exchange. All Rights Reserved.